Ten years ago, you could’ve successfully marketed your clients’ products without social media. Today, there’s no chance. Social media is the first place after Google where customers look for products, and, what’s even more important – brand image. 87% of consumers would purchase a product based on values, and the average revenue increase when a brand is presented consistently is 23%. Even though we love our PPC campaigns, there’s nothing like social media to help the customers get to know your clients and their products. And because technology and customer priorities change from year to year, today we’re taking a look in the future. Here’s what we can expect in 2019, and how you can use social media as a marketing agency to ensure your clients succeed. Social shopping has become increasingly popular in 2018 and with Instagram’s new shop-on-the-gram features, it’ll become even bigger in 2019. Users will now be able to find products in images and videos, save them to their collections, and find new products in the Explore section. Even though there have been talks of Instagram creating a separate app, there’s no reason. Consumers of 2018 love shopping through social media. It comes pre-packed with referrals and comments from other people, and they can see their favorite influencers advocating the products. In addition to Instagram (which is a visual platform), Facebook took after WeChat’s social retail example and is now working on features that will make it much easier for customers to shop without leaving the app. Even though we may have to wait some time before you can integrate your clients’ stores with Facebook, the social shopping trend can still be incredibly beneficial for your clients’ businesses. Social shopping is fueled by referrals, and with social shopping on the rise, you should consider using satisfied customer testimonials in advertising. Social proof is very important to consumers of 2018, and it’ll encourage them to buy from your clients even more in 2019. Influencers are no longer people; they’ve become walking, talking billboards in the last five years. Their followers (and your customers) quickly realized who actually provides value, and who sells products they don’t believe in. Social media marketing in 2019 will be value and thought-driven, no doubt about it. And as far as word-of-mouth goes, micro-influencers are the channel you want to use. They’re typically social media users who have between 1,000 and 20,000 followers and extremely high (real) engagement rates. Their community is tight-knit, which actually means a narrowed-down niche for your clients. In their study, Mediahub realized that micro-influencers increased their marketing campaign engagement by 50%. And what’s even more interesting is that influencers with around 1,000 followers actually resulted in more success for the brands they worked with, generating 85% higher engagement than regular influencers (with over 100k followers). Since the main motto behind marketing and shopping in 2018 and 2019 is: value, honesty, and convenience, micro-influencers fit right into that category. If you want to optimize your clients’ campaigns (and reduce the spend on that area) in 2019 as a marketing agency, start working with micro-influencers. Content marketing is here to stay, and it’s the number one way to drive sales through social media. After all, content strategies increase your clients’ ROI: they generate 4x more leads per $1000 within 36 months. It’s also good for branding and customer communication. Consumers today won’t repeatedly buy from your clients’ brands if they don’t understand them. So in 2019, make it your priority to include content into your marketing strategy – and not any kind of content. Create content that’s relevant instead of outdated, and increase engagement by making it interactive. With the state of social media features today, it’s not hard to create interactive content. Consumers in 2019 won’t be happy if they can just observe your clients’ social media. They have to actively interact with it in order to find value, and ultimately make the purchasing decision. It’s incredibly important to establish a content calendar that will help you constantly engage your clients’ customers. You don’t have to do it manually, as DrumUp offers content scheduling features (and much more). Accurate audience segmenting and targeting has been the number one marketing priority since the dawn of marketing itself. However, when it comes to personalization, it seems like a lot of brands are struggling with it. The lack of personalization puts off consumers so much that 74% of them feel frustrated when content isn’t personalized. 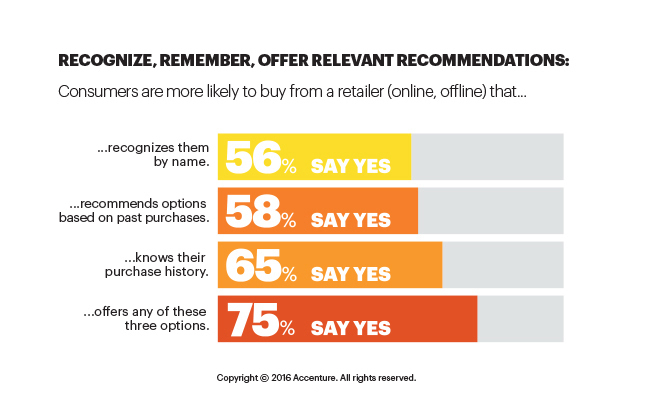 As a counter-point, marketers who use personalized experiences see a 20% increase in sales. What can you do for your clients as a marketing agency? The first thing is obvious: gather data. For this, use social listening. Social listening will also help you curate content better, and create a content calendar that perfectly fits the customers’ interests. DrumUp makes this really easy. Without it, you’d have to go through multiple feeds at once – and still risk not getting the right information. DrumUp’s algorithm will do that for you, and show you exactly what kind of content your audience needs. The second thing you can do to personalize your marketing efforts is to understand the customers’ motivation for buying the product. This may seem simple on paper, which is exactly why a lot of marketing agencies haven’t had the appropriate amount of success in 2018. Run an audience analysis and cross-reference it with your social media strategy. No matter which social media you’re using, engagement should be your number one priority. Segment audiences according to channels, and tailor your approach to their personal preferences. Focus on personal interactions. Even though we’re all looking at screens, don’t take the human touch out of the equation. Facebook Messenger offers innovative chatbot features, Twitter has DMs, and nothing has ever been as effective as LinkedIn outreach. Speaking of LinkedIn, LinkedIn Dynamic Ads were quite a revolution when the platform announced them. Their significance will grow in 2019, as they’re an incredible way to personalize the experience for your clients’ customers. Personalizing your social media strategy won’t just help you get new customers; it will help you retain the existing ones, and generate more referrals than ever before. Marketing success is going to be very hard in 2019 without openly stating your client’s brand values. This will be the ultimate way to reach new heights of brand awareness, and create customer loyalty from the very first purchase (while also increasing the value of each purchase). The goal of social media marketing in 2019 is to sell to customers who feel like your client’s brand is their friend. While brands traditionally steered clear of stating opinions or standing up for values, this will become indispensable in 2019. While keeping ethics in mind, your brand should stand for similar values to those of your customers. Sponsorships and donations can go a long way when it comes to brand awareness. So does employee advocacy. Additionally, you can also use user-generated content to show appreciation for your customers. Big brands frequently do this, on a smaller or bigger scale. For example, hashtag competitions are a big favorite of brands like Nike. Their customers are encouraged to post their own content related to the brand, and then the brand page re-shares it. This can be especially useful for your clients if they’re in the B2B space as it gives the other side more exposure. It’s no longer enough to talk about what your brand stands for. Action should be following it closely. Especially where customer prioritization is concerned. A huge part of user experience has been shaped by instant customer service which SaaS companies like ZenDesk started providing. It’s easier and more pleasant for customers, and it means a lot for the bottom line of your clients. However, you can use the AI-powered customer service principles for your marketing efforts, as well. We’ve previously touched on Facebook Messenger chatbots, but while they can be used to respond to customers’ queries, they can also be used for marketing. For example, if you want to boost the customer response to your client’s marketing campaign, you can contact them directly with the help of chatbots, and present the idea in a more personable way. Twitter DMs can go a long way if they’re not robotic, as well. If there’s a particular offer that would interest a segment of your customers, you can divide them with Twitter Lists, and message them. Same goes for LinkedIn: InMail is still the best way to directly reach customers. Social media marketing in 2019 is going to be big on doing things directly. And great AI tech is going to help you do it without manual work. You probably noticed that we’ve emphasized the importance of content. However, it’s still one of the main ways to reach (new) customers on social media. It’s an excellent way of providing additional value, educating prospects, warming up marketing campaign leads, and ultimately, converting them to customers. You can experiment with different forms and channels, but the more your content stimulates engagement, the better will your results be. This can be a lot of work if you’re doing it on your own, so try out DrumUp. It takes care of everything for you – from scheduling to finding content to share. So automate your marketing, and focus on the most important thing: making your client’s business thrive.